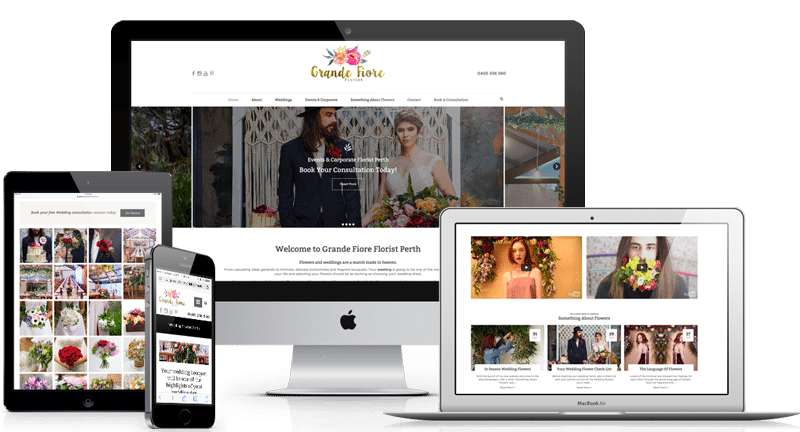 Grande Fiore Florist website was designed by Perth web design company, Lethal Graphics! Contact us today to discuss your individual requirements Get a quote today. 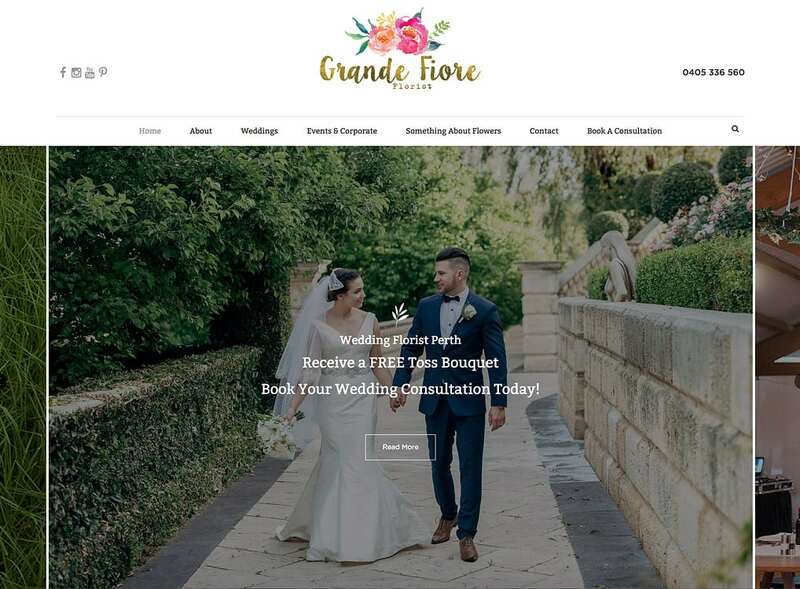 Grande Fiore Florist are Perth’s premiere wedding and corporate floral design specialists. When we first me Rebecca, owner of Grande Fiore Florist, we were blown away by the quality floral arrangements and bouquets she was creating by hand. The flowers were stunning, but when we visited her old WIX website, there was a complete mismatch in branding and communication. 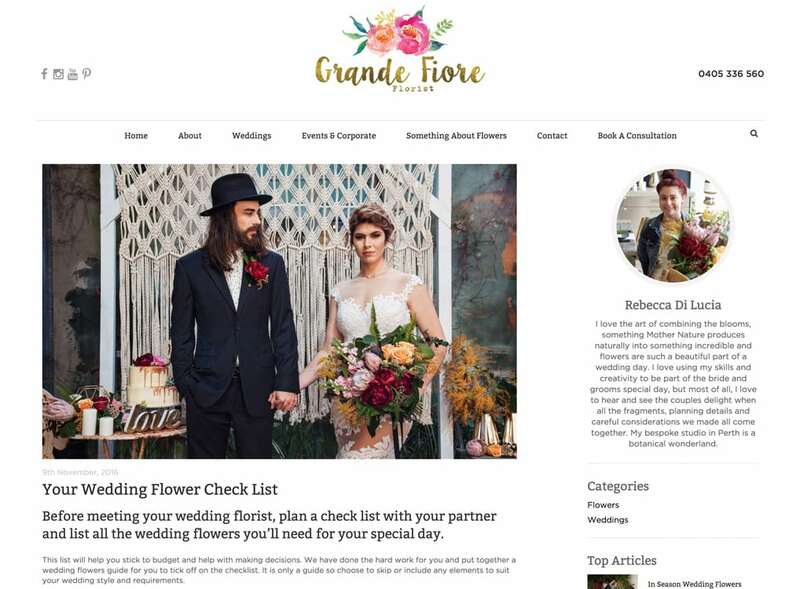 On one hand, the Grande Fiore Florist floral arrangements were at a premium level, where her online presence was at a very average level… no lead generation, poor design and no ‘call to actions’ put in place. 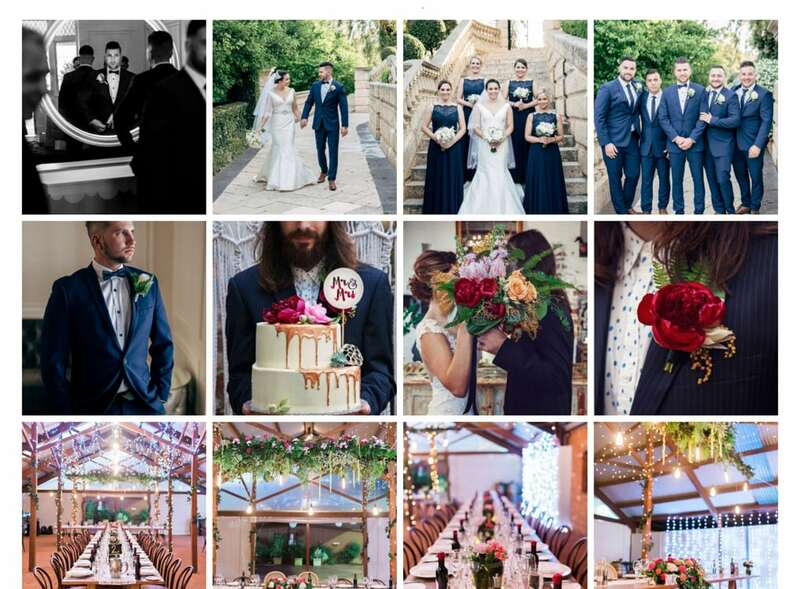 So working closely with Rebecca, we re-created a completely new website that not only was a fashionably stylish website to promote her brand at a premium level, the new site also focused on the 2 key areas of business – weddings and corporate events. 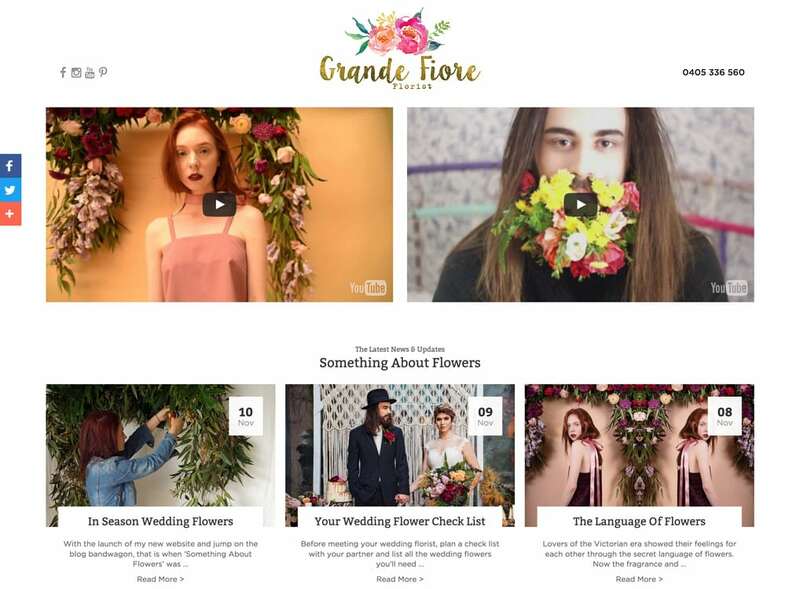 Since launching the new lead generating website, Grande Fiore Florist has experienced an overwhelming response to new leads and enquiries.